16 case studies that prove Social CRM | Pour un CRM plus social ! 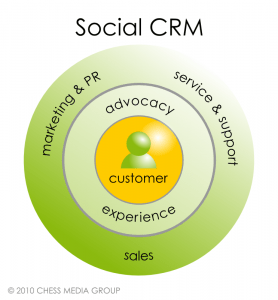 Since Social media amplifies all three, it makes sense the terms, “Social” and “CRM,” belong together. 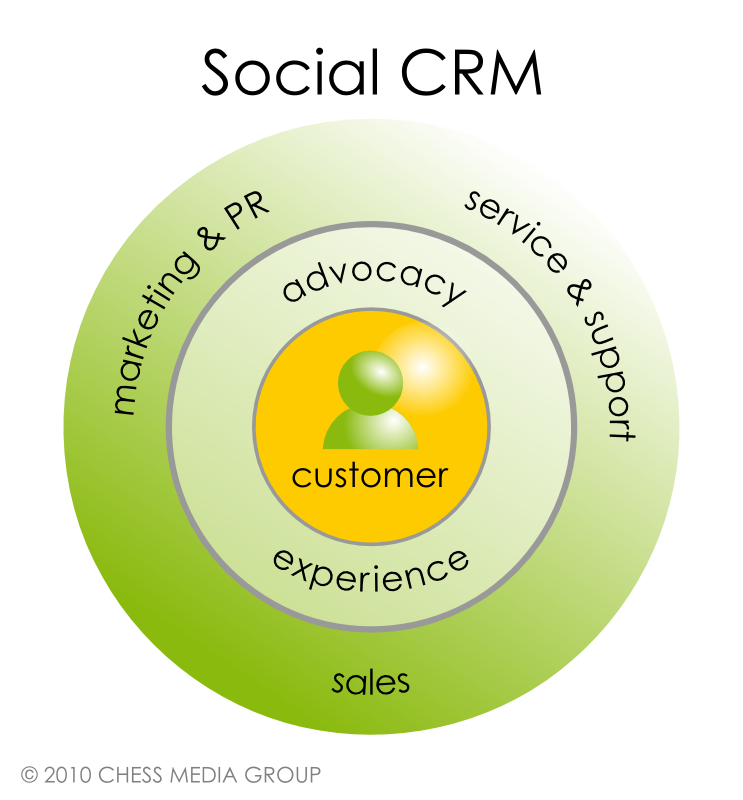 I’m a big believer in Social CRM but I think the phrase is still being defined. One reason is the graphic above. It’s very good but it is shows Social CRM as a concept that requires visualization to be explained. Another reason is two very smart people, when asked, give different answers. I favor a more matter-of-fact definition: Social CRM = a 1-to-1 sales relationship that occurs through social media and is profitable, sustainable and built on trust. To substantiate, here are 16 case studies that prove Social CRM. AFTER STEAZ: When an organic tea company started talking on Facebook and Twitter about why teas that are organic matter, consumer listened. In fact they not only listened, they bought the product and sales doubled. When downloadable coupons were then offered on these social networks, 250,000 were downloaded and 2,830 tweets were recorded in an hour. BARACK OBAMA: Social media campaign for the President on My.BarackObama.com raised $30,000,000 from over 70,000 personal fund-raising pages, 400,000 blogs, 35,000 groups and 200,000 offline events. Based on approval ratings, it also was probably the time when trust in the President was highest. CLOROX: Launched online community, CloroxClassrooms.com, with blog and Twitter effort on Labor Day weekend at the beginning of the school year. Twitter page was among the Top 10 trending topics over Labor Day weekend and blog was recognized by the Marketing to Mom Coalition and mommy bloggers for excellence in terms of delivering trusted, sharable information. COMCAST: Started “Comcast Cares” Twitter customer service center and attracted 2,700 followers. More important, from a Social CRM standpoint, many who were critics of the company changed to raving fan. Quality of attention and dialogue now serves as model for the the company. DR. VAKSMAN: Local Dentist with five month old dental practice in San Francisco attracted 320 new clients through social media presence including Facebook, Twitter, LinkedIn and YouTube. FISKARS: 300 year old Finnish company that makes fine cutting tool created online social community of crafting enthusiasts called “Fiskateers” to built relationships with underutilized channel of small retailers for a 3X increase in company sales. FOILED CUPCAKES: A Chicago company that sells cupcakes has no store front, only a web site. When the product was readay but the launch of the website was delayed, they relyed on Facebook and Twitter for CRM. Social media generated 93% of its business through social media leads to surpass revenue target by +600%. The reason: You can tweet all day long. You can update your Facebook page all day long. But are people listening? They’ll listen if they know you care about them. So my personal mandate is that I reply to every single tweet and make a comment on every single post to our Facebook page,” says owner Mari Luangrath.